We went hands-on with Bandai Namco returning brawler and came away wanting more. Here's why. 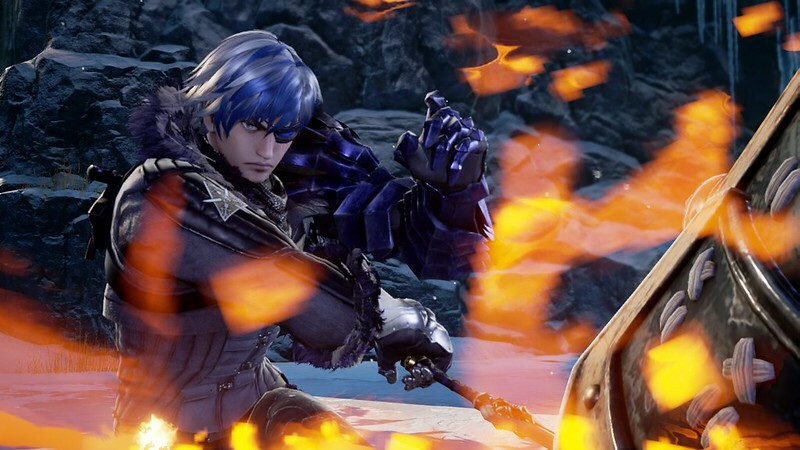 SoulCalibur VI‘s roster is growing rapidly. 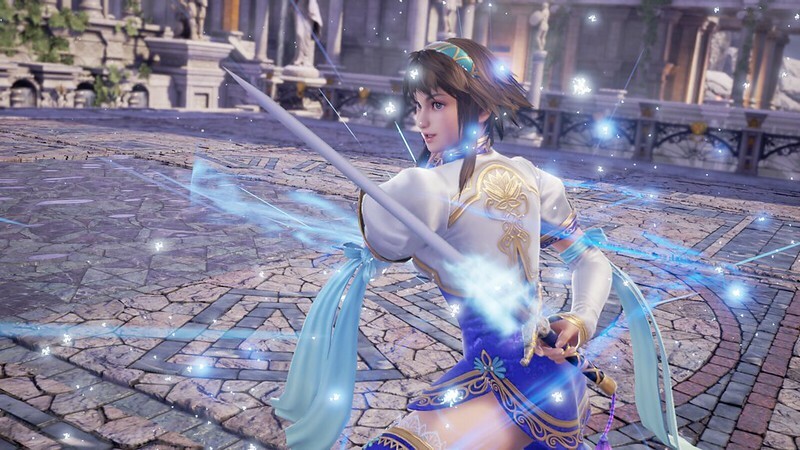 While last year’s announcement was only headlined by series veterans Mitsurugi and Sophitia, they were swiftly joined by Kilk, Xianghua, Nightmare and new fighter Grøh. And late last week, familiar faces Ivy and Zasalamel were revealed to be returning the stage of history. Those last two sadly weren’t part of a preview build I had hands on with earlier in the week. But I did manage to spend several hours putting the rest of the currently announced roster through their paces and try out the new game’s mechanics. Here’s 12 random observations from an evening with the returning fighting franchise. 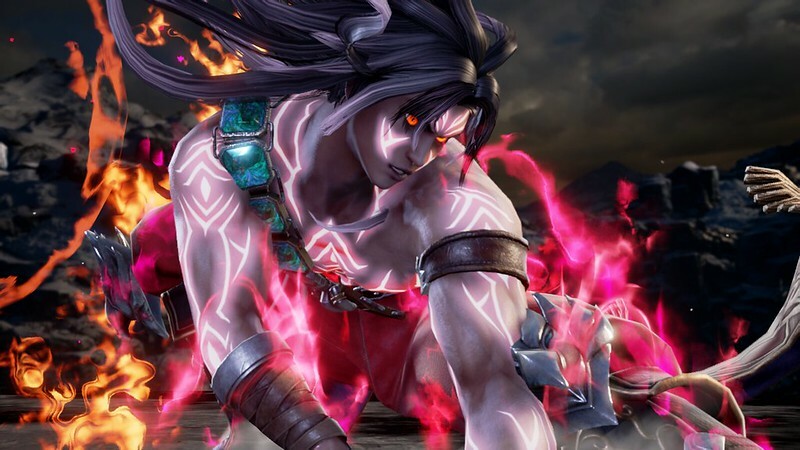 Not that Soul Calibur ever flirted with realism, but VI favours – consciously or not – fabulous one liners that have the soul of the 80s action movie era. New man Grohl’s an early quotable favourite. His taunt (kick + block) goes from whisper to roar: “I have… THE ANSWER”. Then there’s his pre-fight hope of a decent match (“Try and resist your inevitable fate”) and mid-fight anger at his opponent not offering a challenge (“curse your weakness”). Even the round commentator can’t help himself. Take his intro to the snow-covered stage for example: “A single slash can even cut the frozen air in two”. Available to either fighter at any time during a match, Reversal Edge is a risky QTE-style attack. Here’s why: it takes a few seconds to charge, it needs to connect to initiate and it can be blocked. And even if you do land a successful strike, the move doesn’t necessarily favour its initiator. Strike and a cut scene kicks in: both players have a second to tap an input, be that an attack or dodge command. Weapon reach and attack angle both dictate whether one fighter will have the advantage and land a hit, or whether a weapon clash forces a stalemate. Every character has multiple pieces of armour (or clothing) that can be destroyed through a powerful combo called a Lethal Hit. 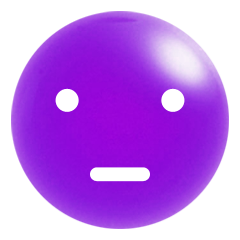 The effect’s cosmetic, but permanent. A shameful reminder the battle’s not going your way. Shattering Nightmare’s helmet with a Lethal Hit reveals an untarnished and familiar face beneath: the long haired Siegfried. 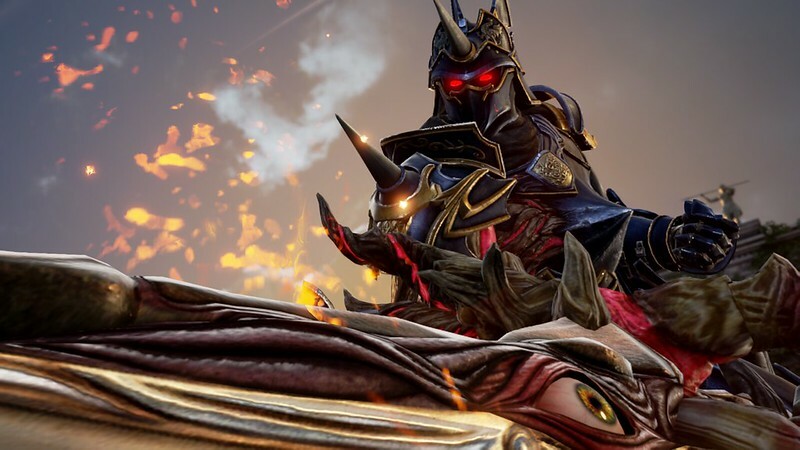 Confirmation then that not only is the franchise veteran once more host to the Soul Edge, but that his corrupted and mutated persona should keep the helmet off: it’s a badass look. 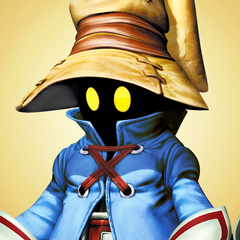 Here’s hoping it becomes an alternate costume. Alternate costumes are colour palette swaps that – in my eyes – work much better than the defaults. Grøh gets an all-white outfit coupled with a rose gold gauntlet, Nightmare ice blue armour plating and matching colour light trails from his glowing eyes. As the Soul Calibur franchise continued, samurai sword-wielding warrior Mitsurugi gradually became a grizzled, bearded vet. 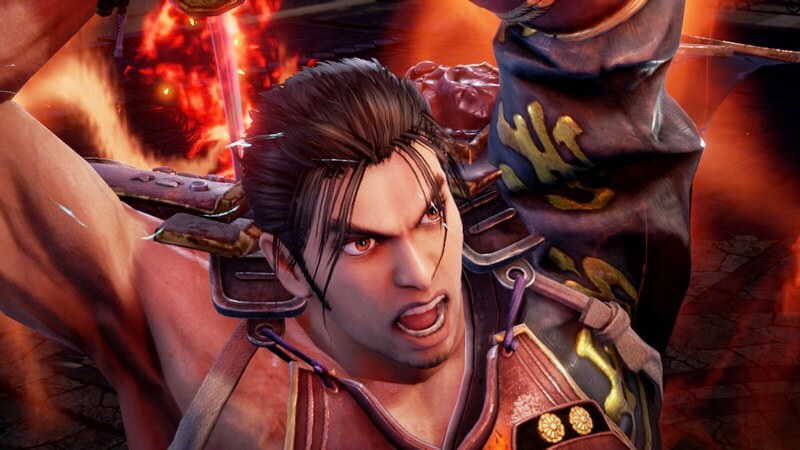 In SCVI, the beard’s gone, and our favourite fighter looks practically baby-faced. Does SCVI skip backwards in the franchise timeline, or is this just how fresh-faced you look after buzzing off the facial fuzz? Perform a throw on Kilik as Xianghua, and she’ll apologise as grapples him. Fight Nightmare as Kilik, and the bo staff master will grip his heart in pain in the pre-match preamble, affected as he is by the lure of Soul Edge. Little touches like this help flesh out the connections between the roster. The Stage Select screen offers a top-down view of your selected level. If the two stages from the preview build are anything to go by, expect a variety of different layouts that could provide strategic advantages. The round winner gets control of the replay camera, letting you pan round the arena or tap a button to focus in on a specific fighter. It’s easy to pull off some flashy combos with SCVI’s new combatant from the off. His weapon(s) is dual swords joined at the hilts, which detach and can land individual hits during particular combos. 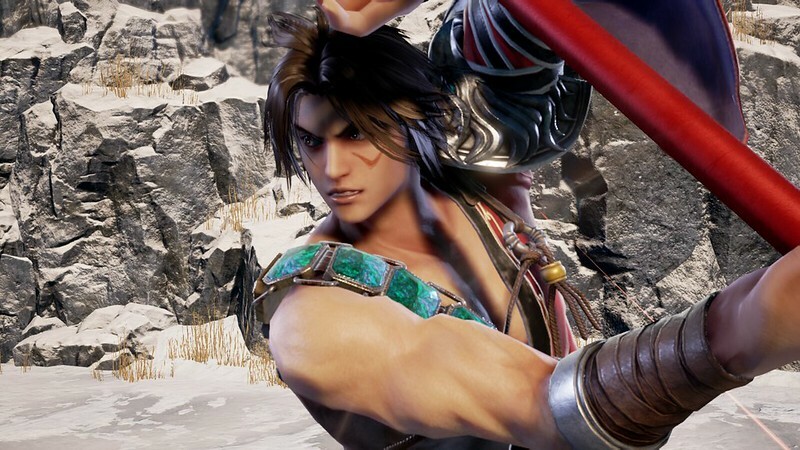 He’s instantly showy in the way Kilik was way back in the original Soul Calibur, and like the bo staff master, this guy’s move set will be worth digging into come release. I used to love 1 on 1 best ’em ups but they just don’t hold the same appeal for me as they used to. I’m sure this will be a great game but playing people online (some who resort to preprogrammed moves and rapid fire controllers) isn’t the same as playing people in amusement arcades and couch play. Beat em ups are a genre whose golden age is back in the past no matter how good the game itself is. It depends on your personal circumstances though. My best friend loves fighting games, so she and I play them (locally) all the time. The problem with fighting games recently (not so recently) is that since online has come along developers have somehow thought it replaces the singleplayer entirely. So we’re left with shells of games with barely any content that we’re somehow supposed to fill with the 2 players still left online and watching some boring “esports” event. We probably both know how boring and issue filled online play is (and how it’s nothing remotely like local or tournament play). Developers kind of need to understand who the actual audience for fighting games are, and make a game catering to those people too. 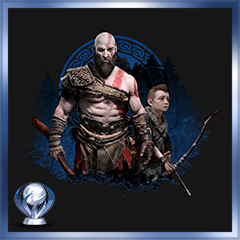 Hopefully these developers have..
Any chance we could get some of the men as scantily clad as the women? Astaroth often walks around in a thong and boots, and Voldo not far behind. So you’ll probably get your wish. It has the character maker too. 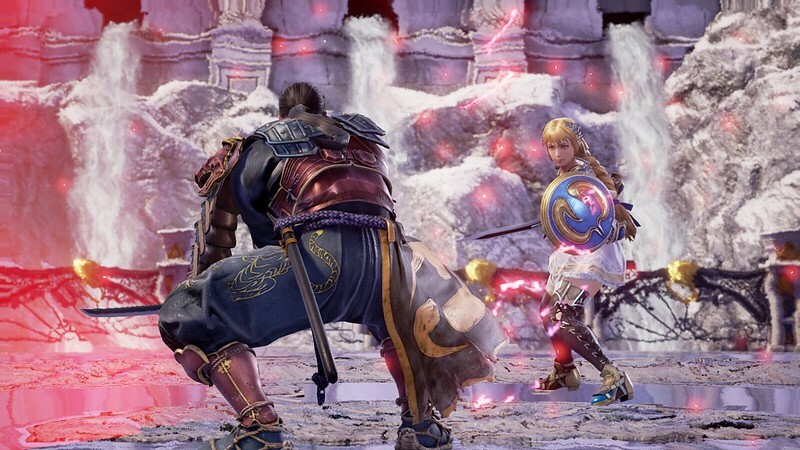 It kind of has to go backwards in the timeline, due to Sophitia being alive (and everyone not looking in their mid to late 40s) and Siegfried still being Nightmare. So it at least has to be set before SC III when Inferno became Nightmare. But finally an Ivy confirmation! Shes one of the most fun and over the top characters, and is a nice contrast to the mundane “safe and boring” female types we’ve had way too many of recently. It’s also good she’s got a redesign on her original SC1 look, as it used to be a bit 1990s Kitana leotard. Zasalamel is back (which is also good), and so is the first returning character not from SC1. Which means we might get some other non SC1 people too.